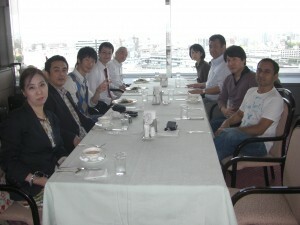 The 550th YTMC regular meeting was held on Jun. 15th. It was a last meeting during 2012-2013 terms. There were 3 prepared speakers on this meeting. 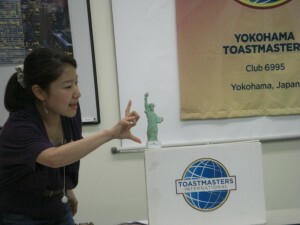 And 1st speaker, TM K.S pretended to be the NY tour guide in her speech! and explained about good things of NY to us. I’ve never been to NY. So I’d like to go there! In addition, we had the special event that is new officer’s induction ceremony!! They lead YTMC from next month. And next president is…. He is one of the most energetic YTMC members!! We try to various attempts in a time span of a year. New YTMC starts on Jul. 6th. I’m looking forward to the next meeting! 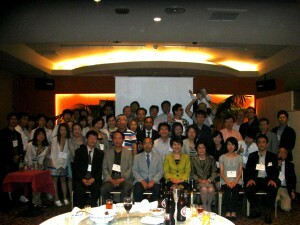 We was held YTMC 25th anniversary party on Jun. 1st. 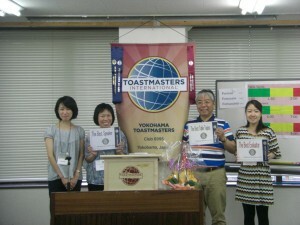 Then we played quiz game about YTMC and 25 years history!! Why don’t you try those quiz? 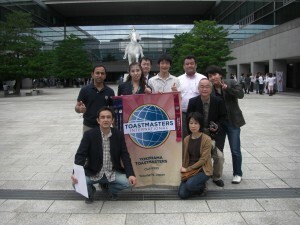 Q1 When Yokohama Toastmasters Club was chartered? Q2 Who was the President of U.S.A in 1988? Q3 Who was the last Prime minister of Showa area? Q4 How many people in Yokohama 1988? Q5 How much Exchange Rates Japanese yen per U.S dollar at June 1988? Q6 When Russia was born? Q7 When first club chartered in Moscow? Q8 When the first meeting was called order in the world? Q9 When Membership opened to Women? Q10 How old was Dr. Ralph C. Smedley died? Q11 What the ACADEMY AWARDS BEST PICTURE WINNER in 1998? Click here to check the answers! It was my great honor to handle a special meeting to celebrate a quarter-century anniversary of Yokohama Toastmasters club as a master of ceremony. I would like to take this opportunity, at first, to show my appreciation to all who have supported our club activities for 25 years, as well as attendances of this commemoration. On this occasion, all current members could look back on our club history in order to look to the future, I belived. 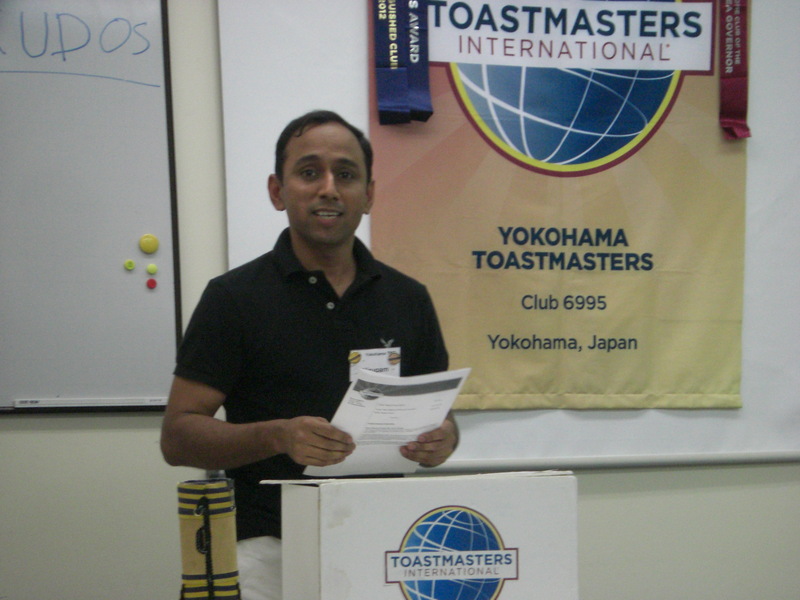 It was an opportunity to acknowledge that our club gave birth to seven sister clubs and a few winners for All Japan Speech Contests of Toastmasters in Japan. Especially, I was very happy to welcome TM A as a guest speaker for this meeting. 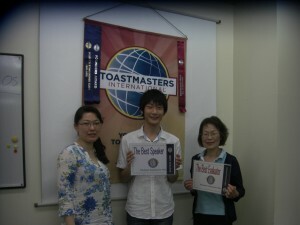 She was the 15th president as well as one of winners for a domestic contest of Toastmasters. Her speech encouraged all attendances to challenge to be a better communicator by saying she was a noviece when she joined this club. 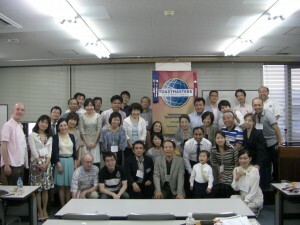 I only hope Yokohama toastmasters club can continue to be a club where people with challenging spirits come togather. Attendances of 25th Anniversary party!!! 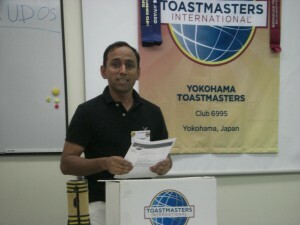 District 76 spring conference was held at Nagoya on May 17 to 19th. YTMC planned the tour of Nagoya. 9 members joined this tour. Great!! We joined this contest form second day, Japanese contest. There were 6 contestants in Japanese contests. They are representative of each division. All speeches were very high level!!! It was difficult to say which is better. Result of the contest is shown in the following Website. After Japanese contest, we joined the party. It was very very exciting!! A lot of other club members join the party. It was wonderful occasion to know other club activities. In addition, each division members showed performances like magic or dance. Div. D members danced on the stage. I didn’t know it, but I enjoyed dancing! Next day, we joined English contest on the morning. It is main event of this contest. Our club is English club. So I was looking forward to it. All speakers inspired me. They took their speech using each humanity, skills, and responsibility. I could learn a lot!! So I will catch up those things in my next speech. 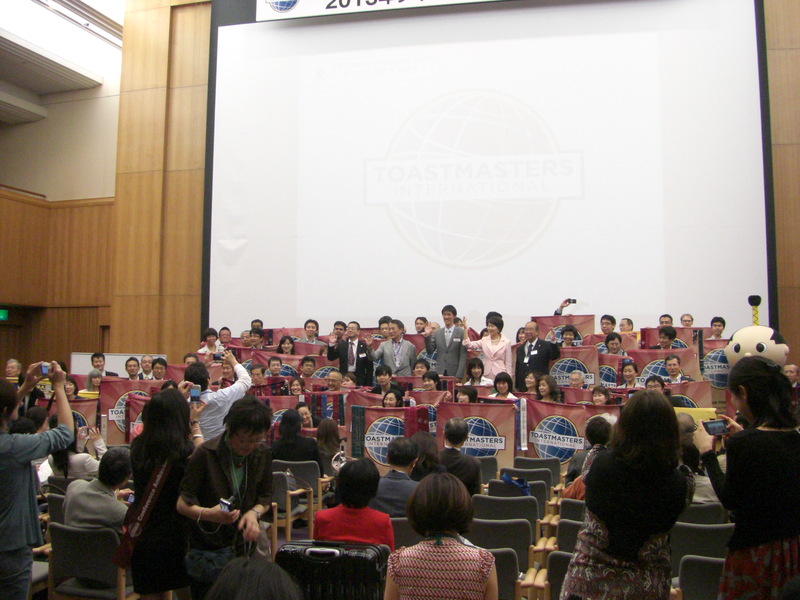 One of the most exciting Toastmasters events was over in 2013. And next District 76 conference will be held at…. The date will be November 15th to 17th. Please reserve those days on your calendar!